If you injure yourself and are suffering from pain, loss of motion and function, seek a diagnosis from a doctor or Physical Therapist. Don’t “cheat” during the post-op rehabilitation time period because you can damage and dislodge the clot. Use the RICE principles of inflammation control following your procedure. Anti-inflammatory medications can impede the healing process. Following the procedure, it might be helpful to modify your activity level. You should begin more cross training and incorporate less “pounding” type activities. Seek the advice of your Physical Therapist if you’re injured and follow their advice during your post-op rehabilitation. Microfracture surgery to repair damage to cartilage of the joint is common for many professional athletes who suffer back-to-back injuries, but they are not the only people who suffer from damage to cartilage of the joint. Just about anyone can suffer injury, particularly those who are aging, those who are active and athletes. Once the smooth, shiny and nearly frictionless articular cartilage is damaged, patients experience pain and loss of function. The degree of pain and loss of function depends on the severity of damage. In many cases, injuries and damage to the Hyaline cartilage can be treated with Microfracture surgery. 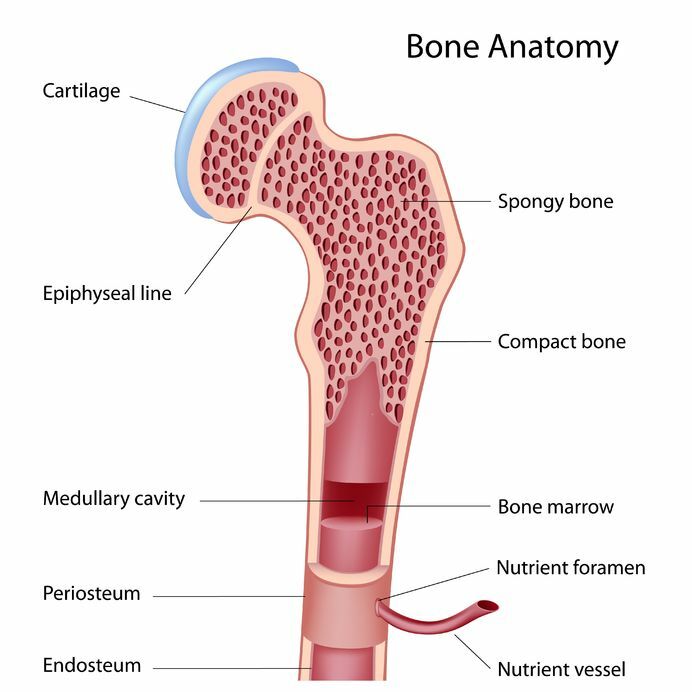 The Hyaline cartilage is a smooth surface of cartilage the covers the ends of the bone where they connect at the joint. Normally, the joints of the body are designed to move, and the Hyaline cartilage (or articular cartilage) enables the joint to move with a minimal amount of friction. This cartilage sometimes gets damaged as a result of the normal course of life’s events and activities. It may be referred to as an arthritic change or lesion in the cartilage. Microfracture surgery can often repair this damage. In the most severe cases the cartilage is so badly damaged that it cannot be salvaged and a new joint has to be inserted to restore the normal function of the joint. Microfracture surgery is designed to restore the articulating surface of the damaged bone while helping to relieve pain and re-develop the function of the joint. Though it has been performed for years, Microfracture surgery has benefited over the last 10 years from significant developments in technique, instruments and rehabilitation protocols. This procedure can actually restore functional use of the joint: when damage to the Hyaline cartilage is a full thickness (all the way to the bone, or grade IV), in a weight bearing aspect of the joint, or where two bones come in contact with each other known as a contact surface. On the other hand, if the damage is too bad (unstable, too large, without firm edges, etc. ), the joint is misaligned, or the patient is probably not going to be compliant with the post-op protocols, the procedure should not be performed. The procedure consists of an arthroscopic procedure, which entails debridement of any “free floating material and “cleaning-up” the edges of the articular lesion to make sure that they are firm. 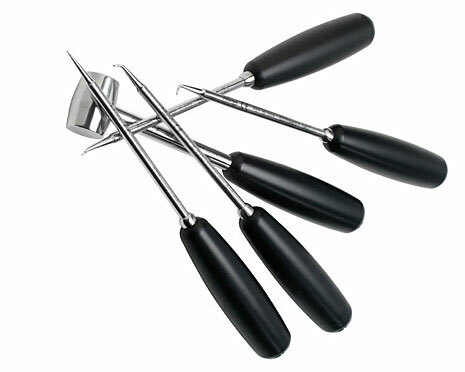 The surgeon uses a “tool” that resembles an ice pick. The surgeon will “poke or puncture” numerous holes into the end of the bone that lies at the base/floor of the lesion. 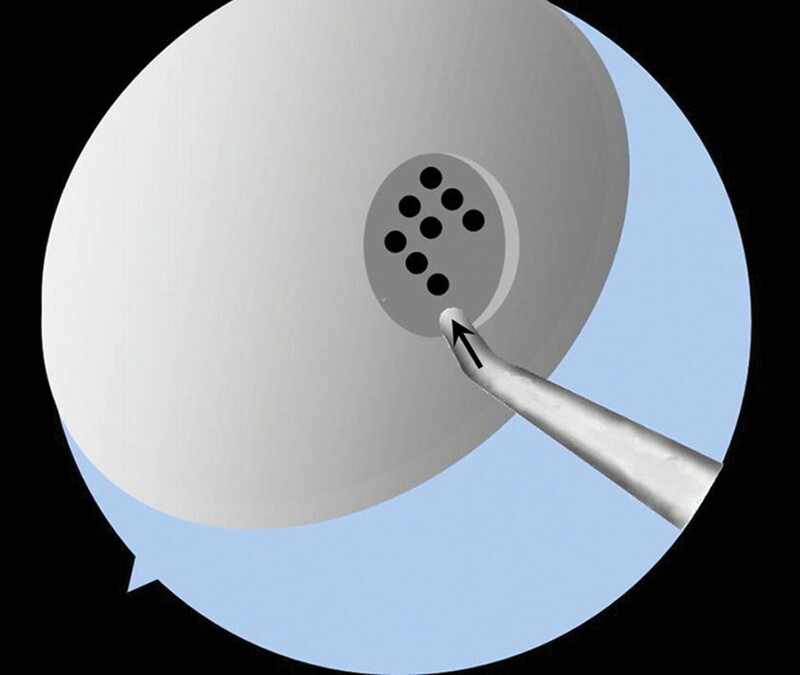 These “poke” holes allow blood to flow from the marrow of the bone into the lesion. This blood will form a clot that will attach itself to the firm edges of the lesion. The clot formation will become the foundation for new cartilage cells (Chondrocytes), which will replace the damaged Hyaline cartilage. If precautions are not taken during the post-op period, the clot can be dislodged and become useless. This “new” cartilage is not Hyaline cartilage and resembles a fibrocartilage patch more than articular cartilage, but it is better than having a lesion in the joint surface. (This can be analogous to a “pot hole” in the asphalt of the highway. It can be filled with a “patch” that will never be as good as the original asphalt, but it is far better than having a large hole for people to repeatedly drive over and make it worse). Pain: Everyone has a different pain tolerance. In most cases, the arthroscopic procedure produces minor surgical trauma and the removal and debridement of the joint does not cause a lot of pain. The goal of the surgery is to produce “bleeding and clotting” within the lesion which usually cause a fair amount of swelling. This must be treated with the RICE principles (Rest, Ice, Compression and Elevation) because your doctor won’t allow you to take anti-inflammatory medications. These can inhibit the healing process of the cartilage cells. Weight bearing/braces: If the procedure is performed on a weight-bearing joint your doctor will make you “Non Weight Bearing” for a period of time. The length can range from a couple of days to several weeks, based on the size and location of the lesion. During that time period, you will have to wear some kind of protective brace because your muscles will become extremely weak. If the procedure is performed on a “contact” surface, you will be restricted from using that joint for a period of time to allow the clot to form fully. Work: The return to work is dependent of the physical demands of the patient’s job. Most patients can return to some form of limited duty work within a few days following the Microfracture procedure. If your job entails standing or walking for long periods of time or distances, working when you are totally non-weight bearing might not be a good idea. If the procedure is performed on your shoulder and your work requires a great deal of physical effort or motion with the involved shoulder, you will not be able to return for several weeks. Ask your doctor and Physical Therapist to get an idea how long you will not be able to perform your type of work. Having fun: Recreational sports, hobbies, “work outs”, house chores and other activities will have to be placed on hold until the clot has healed sufficiently to allow you to perform the motions associated with your activity. This can range from a couple of days to several months. High level activities that require running, jumping and agility type movements might need to wait for 4-6 months (or longer) prior to beginning to perform them in the post –op time period. The lesion can take up to 1 year to fully heal. Physical Therapy: Your initial Physical Therapy will focus on reducing the swelling and pain following the surgical procedure. In most cases, there will be no restrictions to passive motion, but this is dependent upon the size and location of the lesion. During this time period, you should try to maintain or develop good core strength. You will need it to regain full function of the involved joint. Once the clot has matured sufficiently to begin to weight bear or have contact forces placed on it your Physical Therapist will “step-up” the strengthening phase of your rehabilitation program. The Microfracture procedure and the rehabilitation protocols have been perfected over time, and your success requires following these protocols. It is imperative that you listen to your doctor and Physical Therapist during the post-op time period to ensure a full recovery and enable you to return to the activity that you enjoy the most.